Mooliabeenee Airfield, as was the nearby Caversham Airfield both used for Auto racing. This motorcycle racing meeting was held by the Ariel Motorcycle Club on the 21st of October 1951. 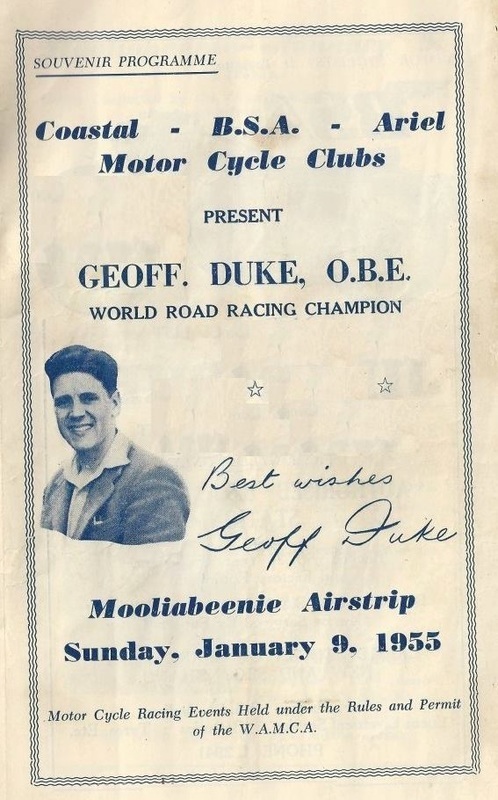 Harry was racing around Australian tracks 1954 and on one particular day ended up at Mooliabeenee on the day that Geoff Duke showed up, On the day Harry put in such a ride on a 500 ariel that everyone wanted to know him. Harry would later race a Triumph and then a Bonneville owned by George Higgs.